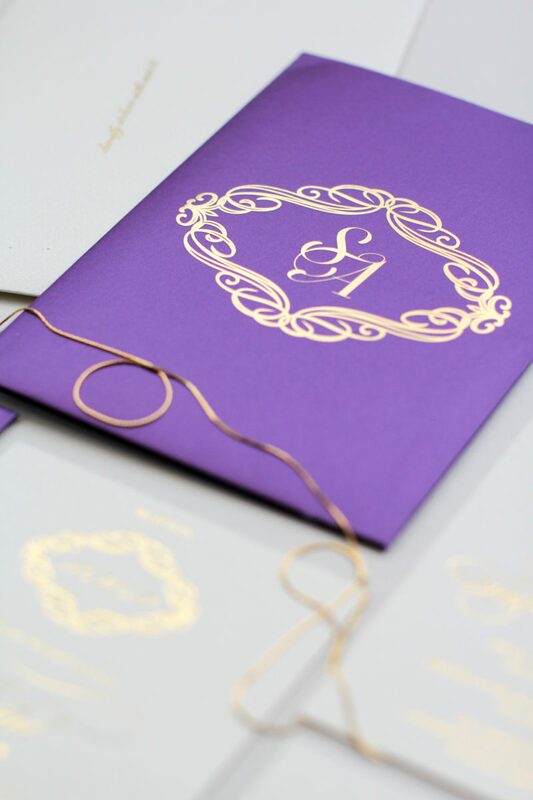 No color bespeaks royalty like violet, and the rich hue, ornate monogram and premium heavyweight materials make this invitation a resplendent announcement for your regal day. Available with or without the storybook style monogrammed pocket. 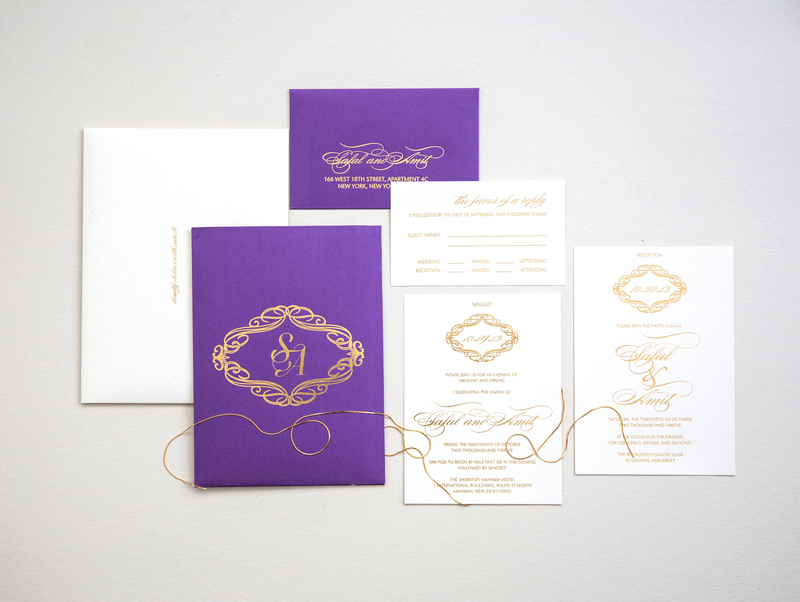 Shown in royal purple, gold foil and ivory on luxe heavyweight Italian & German silk and cotton shimmer finish papers. 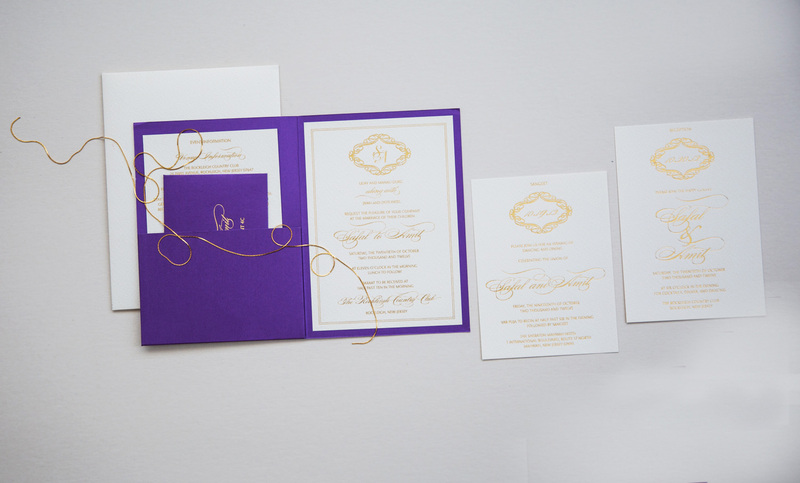 Designed for the wedding of Safal and Amit at the Rockleigh Country Club and the Sheraton Mahwah Hotel in New Jersey. 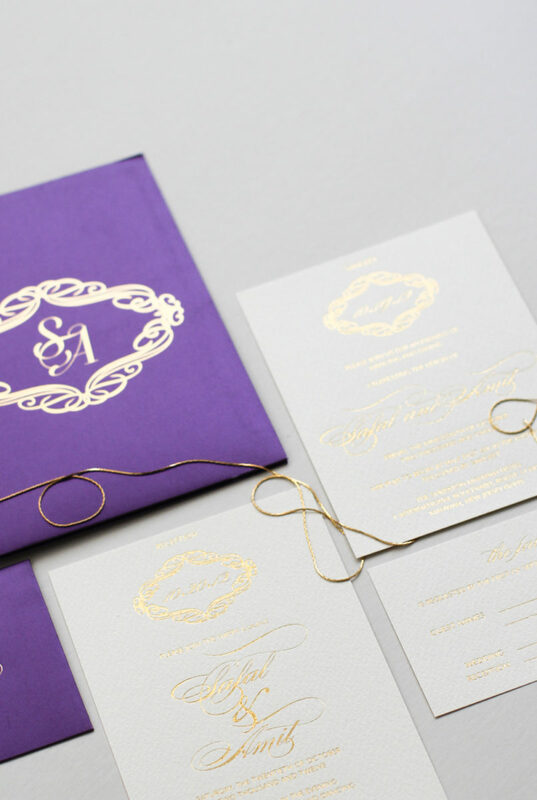 Any existing design from our portfolio is available to customize colors, sizes, type and components. Available with or without a fabric or paper folio or without a folio in your choice of colors and papers.